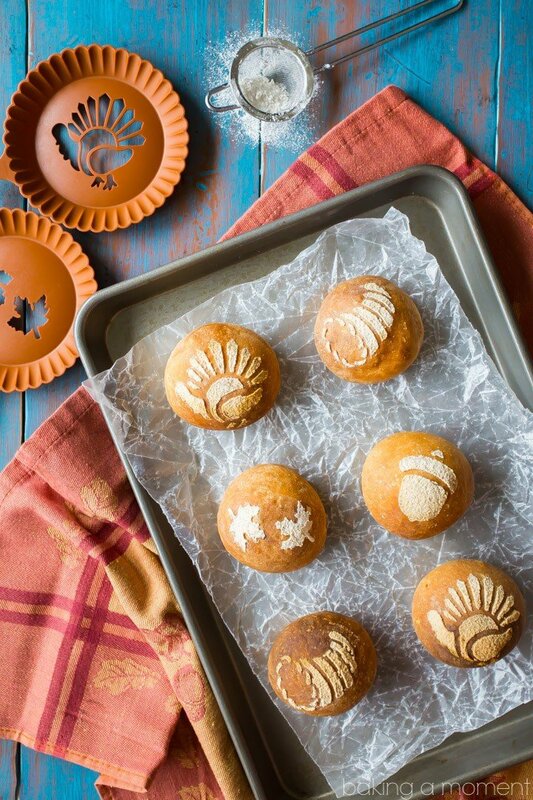 Learn this fun & easy technique for stenciled bread rolls! It will make your holiday table even more festive, and your guests will be so impressed! I seriously cannot believe I am jumping into the Thanksgiving world right now! I am never usually this “ahead” on holiday stuff. BUT! I just got back from a fabulous trip to Columbus, Ohio a few weeks ago, and while there, I learned this incredible technique for stenciled bread. The minute I saw it, I knew right away that it would be SO PERFECT for the holidays, and I just couldn’t wait to dive in. I want to tell you lots more about my trip. This city seriously blew me away! I had no idea Columbus would be so hip and trendy, with such an incredible food scene! 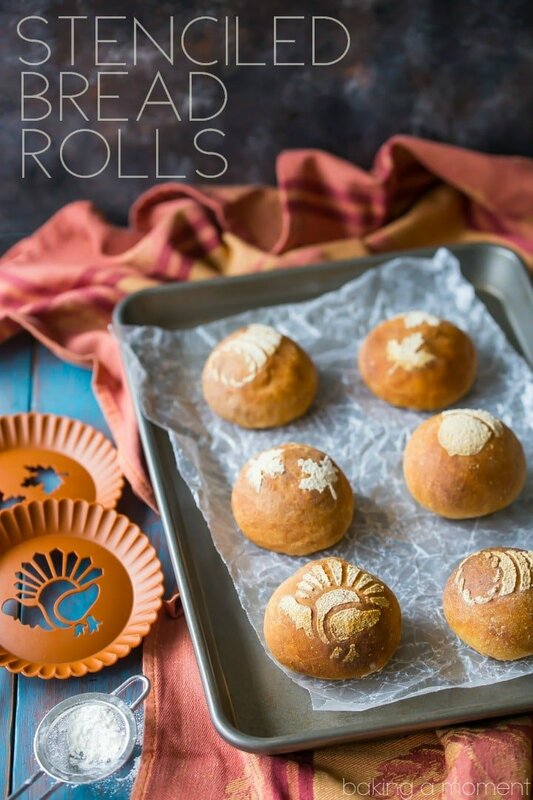 But before I get all into that, let’s talk a bit more about these stenciled bread rolls. All the credit goes to Sarah Black, of Flowers & Bread. Miss Sarah has a stunning Instagram feed (Follow her here!). 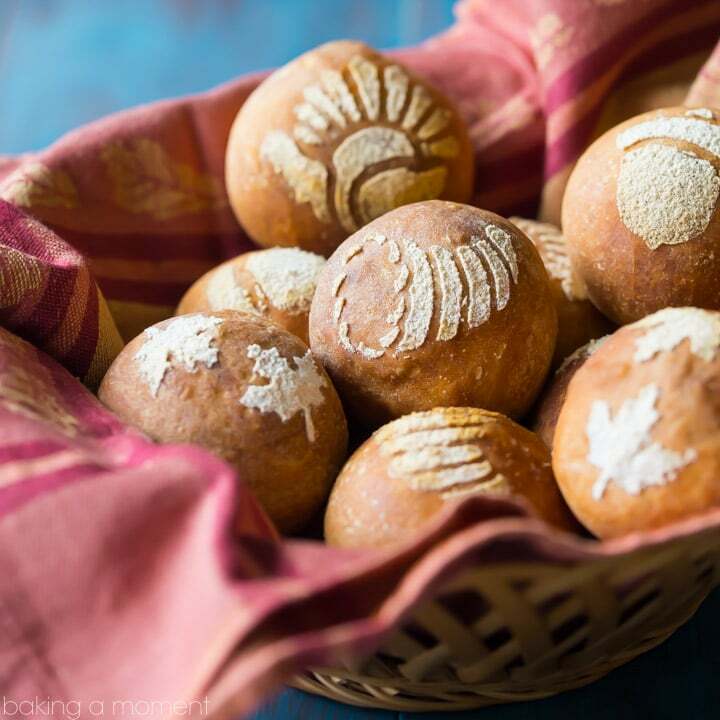 And she’s written a gorgeous cookbook, called One Dough, Ten Breads: Making Great Bread by Hand, which gives the recipe to create the rolls you see here. When I took her bread making class, she showed us this technique and I fell in love. I think you’re going to love it! And it will make your holiday table even MORE festive! All you have to do is get your hands on some stencils. Here is an affiliate link to the exact ones I used, but you can use any kind you like! Mine were cupcake stencils, and I thought that worked well because I had a little handle I could easily hold onto. But Miss Sarah uses regular, acetate stencils like you would buy at a craft store. You can even make your own! The possibilities are limitless- and it doesn’t have to be Thanksgiving themed. You can use any kind of stencil you like, as long as it fits well over the risen bread loaf. Or roll. Sarah’s recipe is actually for crusty baguettes, but I chose to go with rolls because they are just SO CUTE! However, this would also work well with a boule. And you could really get a large and detailed image if you do it that way! So, once your dough is made and you’ve completed the first rise (or fermentation, as Sarah more accurately calls it), you just shape your bread and give it rise #2. Once it’s doubled in bulk, mist the back of your stencil with non-stick spray, or brush it lightly with oil. Carefully lay it over the dough, and using a little sieve, sprinkle all over it with flour. Then, just lift the stencil straight up and away from the dough. If your stencil is larger than your rolls, you may have to angle it as you sprinkle, just to get a clean edge on the image. Watch when you pull the stencil off, not to jiggle it too much, or again, you won’t get those sharp lines on the image. Don’t press down on the bread dough! You don’t want to deflate all the air out. And there you have it! So simple yet so brilliant. Wouldn’t these just be the talk?? I really hope you’ll give this idea a try. Keep scrolling! Because after the recipe card I have some amazing Columbus finds for you. 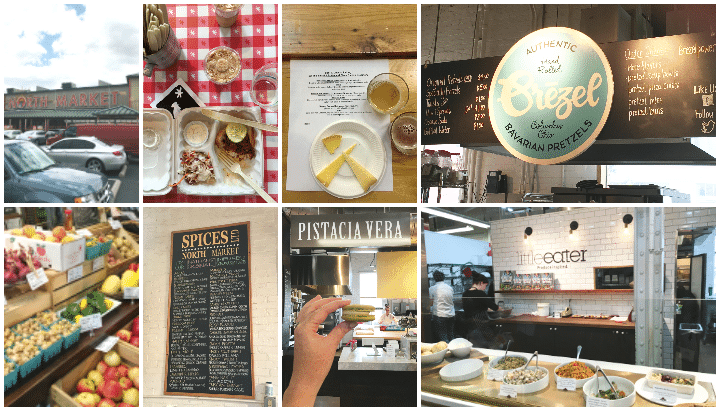 If you’re a foodie, and you’re looking for a great getaway, Columbus is IT! I’m sharing all my top favorites below. More great bread recipes on my “Bread Recipes” Pinterest board! Mix for 2 to 3 minutes, until all of the ingredients are incorporated, the grit of the salt is dissolved, and the dough forms a rough and shaggy mass. Cover the bowl with plastic wrap and allow it to rest for 30 minutes. Sprinkle the work surface with flour and place the dough onto it. With lightly floured hands, gently flatten the dough into a rectangle, with the short side facing you. Use your fingers to flip the top edge of the dough down to just below the center, then flip the bottom edge up to just above the center. Repeat this process for the right and left sides, then turn the dough over and dust off the flour. Place the dough in a large oiled bowl, and cover with plastic wrap. Allow it to rise for 1 to 2 hours, or until doubled in bulk. Divide the dough equally into 24 small portions. Roll each portion of dough into a tight ball, and place on a parchment lined baking sheet, loosely covered. Allow to proof for 30 to 45 minutes, or until doubled in volume. Lightly mist the back of your stencil with non-stick spray, and gently lay it over the unbaked bread dough. Use a small sieve to sprinkle flour over the stencil. Carefully remove the stencil, then bake the rolls for 28 to 32 minutes, or until puffed, crusty, and evenly browned. Sarah recommends measuring ingredients by weight for this recipe. Now, let’s talk about Columbus! What a great city. I really had no idea! 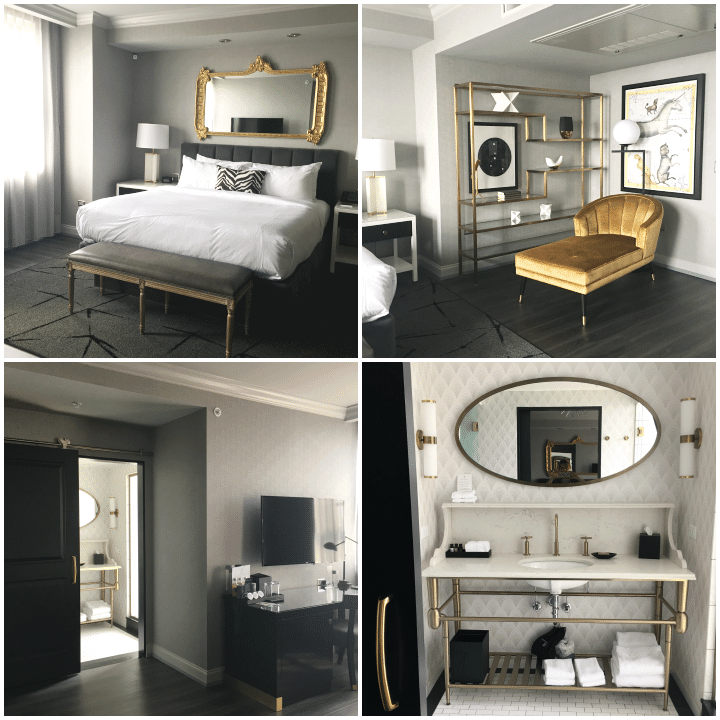 We were warmly welcomed at Hotel LeVeque, one of the swankiest hotels I’ve ever stayed at! It had the coolest celestial theme! Next morning, we were treated to no less than 5 breakfasts! Nick from Breakfast with Nick took us on the most incredible tour. By the time we were done all those breakfasts, it was time for lunch (of course). 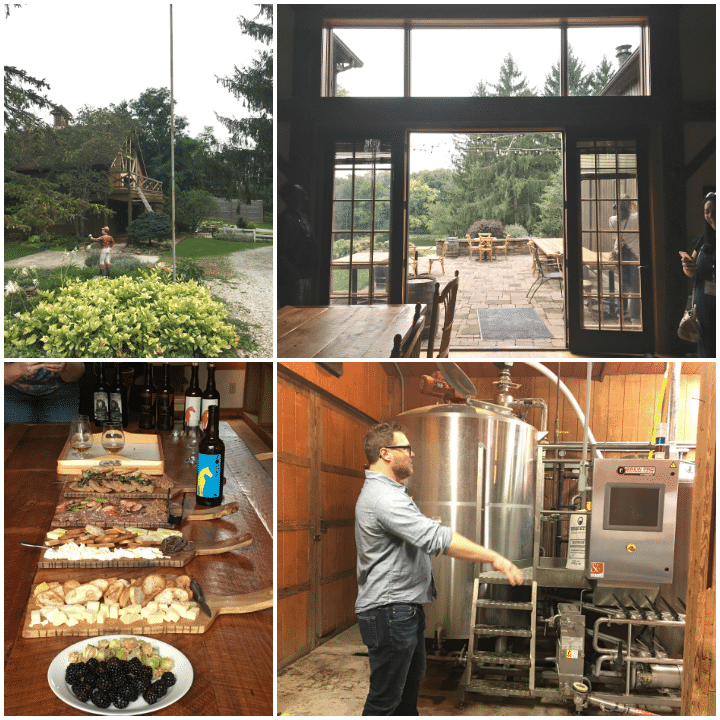 So, we headed out to Rockmill Brewery, where they gave us a tour of their gorgeous property, and offered us the most amazing cheese & chocolate pairing. Along with a beer tasting! At Rockmill, they specialize in Belgian-style brews, because the head waters of the Hocking river (where they source their water) have the same minerality as what’s found in Belgium. 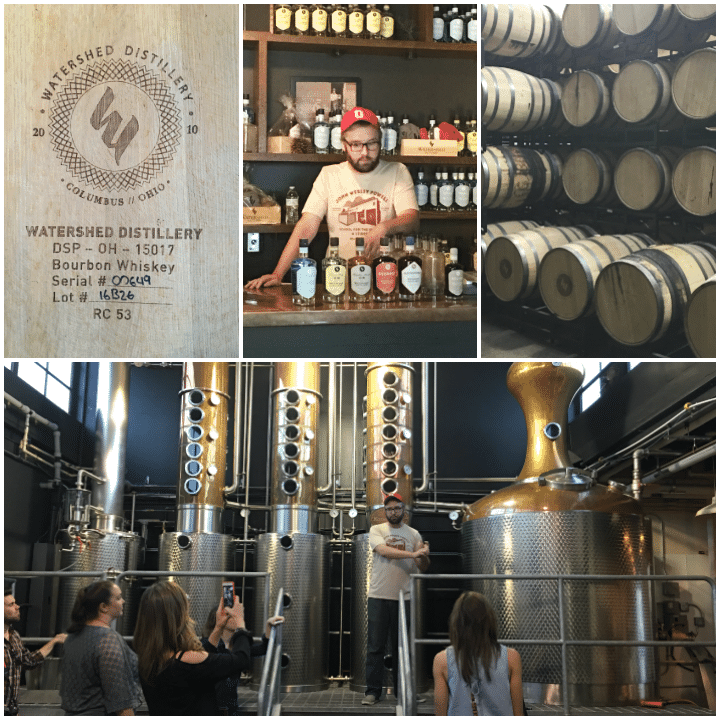 Just before dinner, we met at Watershed Distillery for another tasting and tour. And then a fabulous meal at Watershed Kitchen! 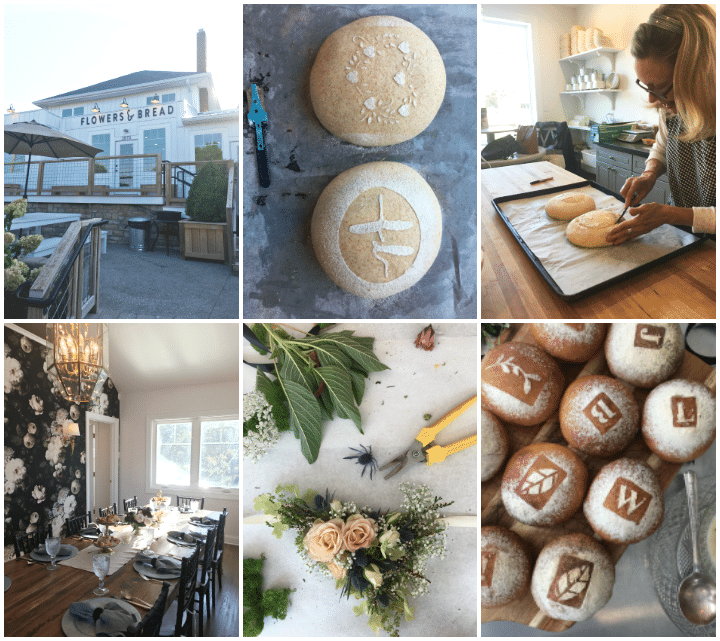 Next morning we were up bright and early, and headed right out to Flowers & Bread, where I got the inspiration for the stenciled bread rolls above. I already told you all about Sarah, who works upstairs in the bakery. But there is a whole other side to Flowers & Bread, where you can take a floral arranging class. We had SO much fund creating those floral necklaces! After that we were whisked away to the North Market for another tasting tour. 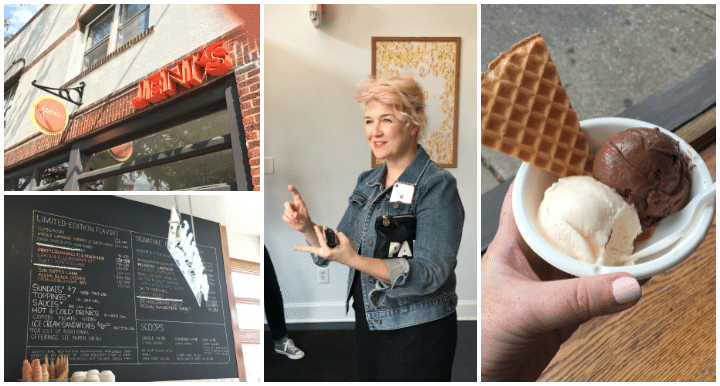 Then an afternoon snack at Jeni’s Splendid Ice Creams, where we got to meet Jeni herself! If you have a Jeni’s near you, you MUST GO!! The ice creams are like none other. 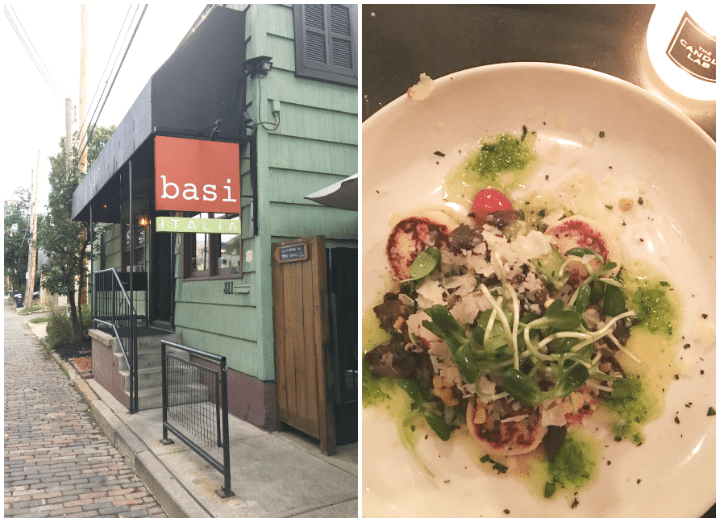 That evening, we were treated to a fabulous al fresco dinner at Basi Italia. What a magical place! On the last day of our trip, we met up again for an incredible meal at Katalina’s Cafe! 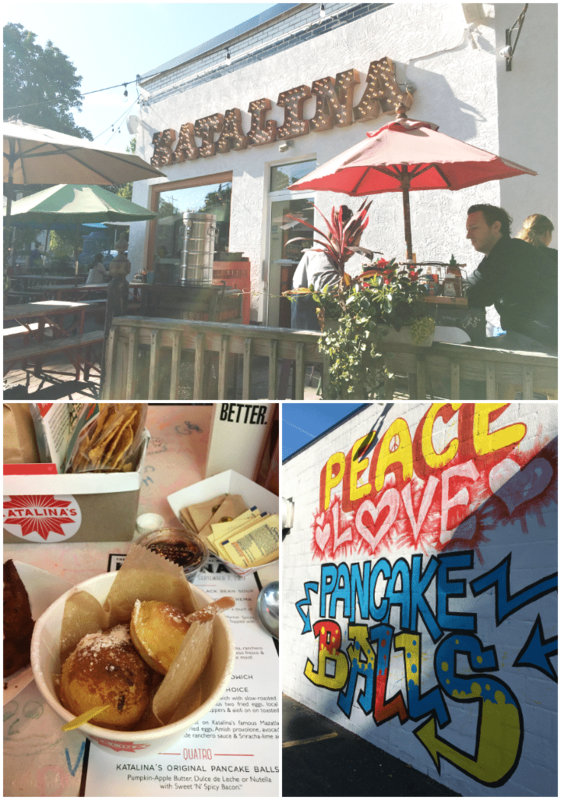 Another adorable spot with the most incredible food! Don’t miss the pancake balls! I wish I could say more about each one of these fabulous restaurants! 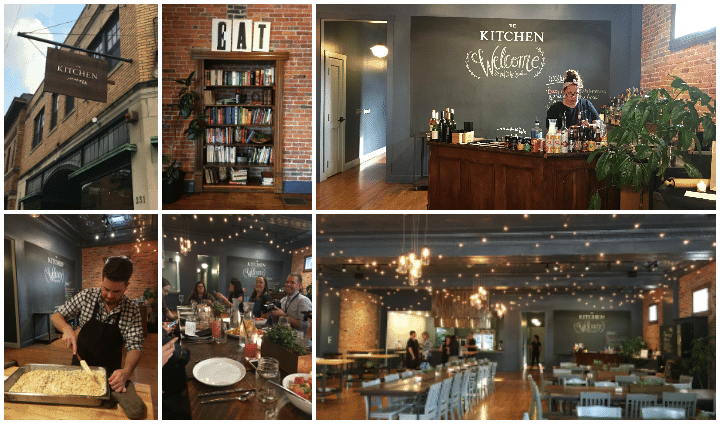 The post is getting so long… but I will say: If you are looking for a great place to go for a fun foodie getaway, you’ve gotta check out Columbus. And be sure to click all the links above to read more about these places that welcomed me so graciously. I was truly blown away by all the fabulous food, drink, and hospitality, and I can’t wait to go back and show my husband! Thank you so much to all the above restaurants/cafes, to Joanne for inviting me to come along, and to Megumi of #expcols for making it the trip of a lifetime! So so pretty!! I need that book. And I can’t wait to visit Columbus! Thanks Zainab! I will share the book with you next time I see you 🙂 Hope you have a great weekend! Hugs & kisses to Mr. Elliot! i have been wanting to make these ever since glory told me about the trip and that shop. these look amazing!! Thank you so much Heather! It was such a cool place, and I absolutely fell in love with this idea. PS I love Glory so much! Tell her I said hi! Love the stenciled rolls. Perfect for the holidays. Columbus trip looked fantastic. 1-this bread is gorgeous and I love the technique 2-Pinning for all the places to try in Columbus! and omg girl I love Jenis so so so so much. I am fascinated by these stencils Allie! The rolls are beautiful. My brother lives in Columbus – so I guess I better go visit him soon! Do it Tricia! And be sure to hit some of these spots- I was blown away! So happy you like the stencils too. Thanks for reading! Hi Allie – do you proof at room temperature? Super new to bread baking so I just want to confirm. Thanks!! Hey Lauren! I did this batch you see here at room temp, but I’ve also used the “proof” setting on my oven. Either way will work! Good luck and I hope you have fun making these! Wow, it is informative. I am a big fan of bread. 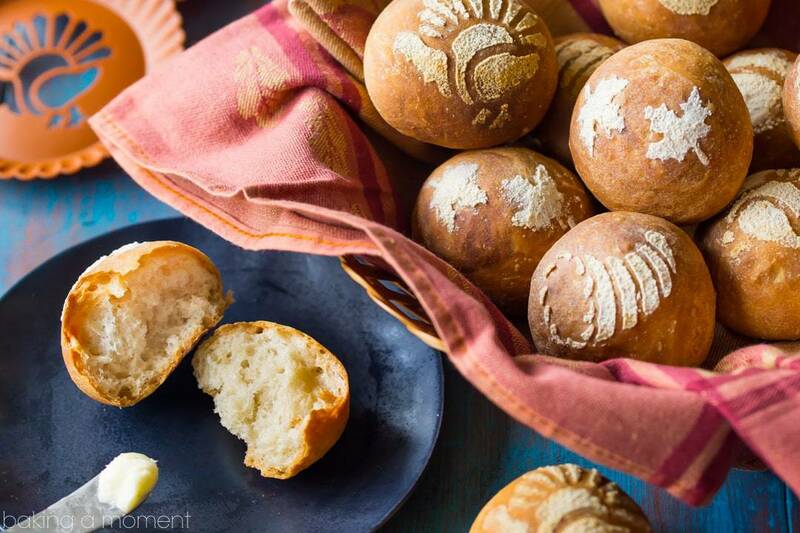 It is time to try bread rolls now, thanks very much. My pleasure! Hope you enjoy!